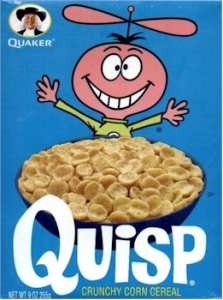 Quisp, and its companion sweetened cereal Quake, were both introduced in 1965 by Quaker Oats. 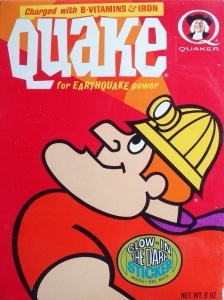 Both survived until 1970, when Quaker stopped production of Quake. Quisp, too, succumbed later in the 1970s, but was brought back (mostly because of us nostalgic Baby Boomers) in 1999 in selected markets.